Your best friend in the field is always the Medics who will bust through walls, brave fire and capture to help save troopers. 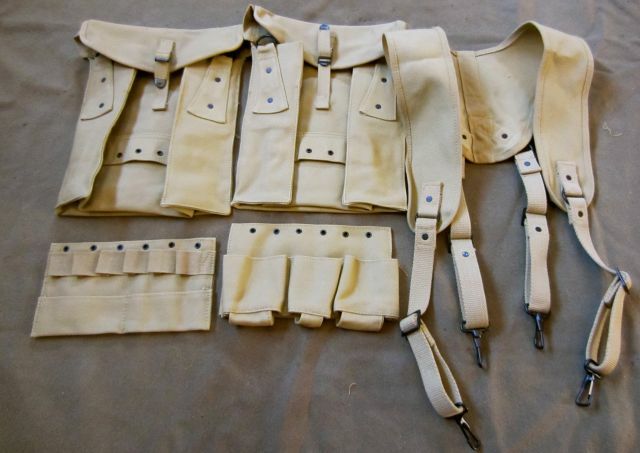 Uniform: Reinforced M42 or Rigger Modified M43 depending on scenario or orders for the event. This has recently been a hot debate as to how Airborne Medics in the 101st painted their helmets and we hope to establish how we would like our medics to paint their helmets. Per Mark Bando (101st official historian with more than 40 years of experience of working with WWII vets, and a collection that rivals any museum anywhere. 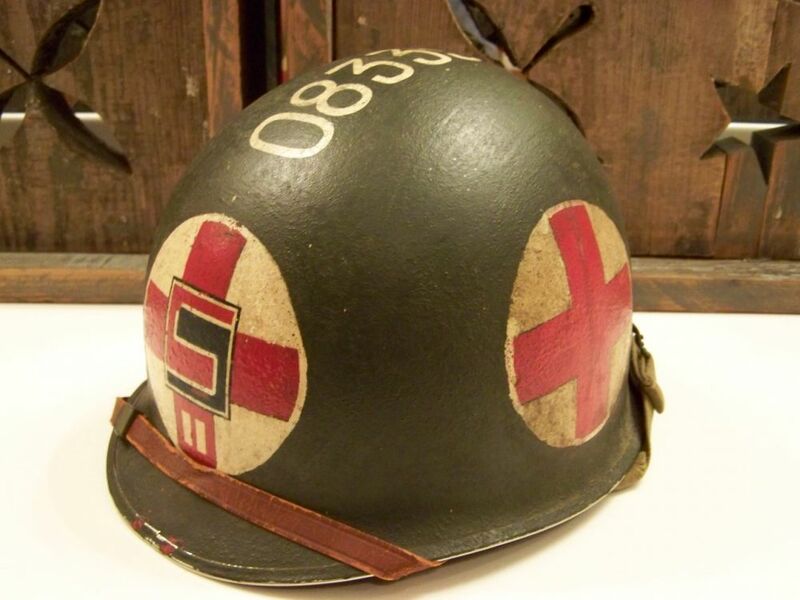 "(Regarding)The medic helmet with large white circles, enclosing the red cross. 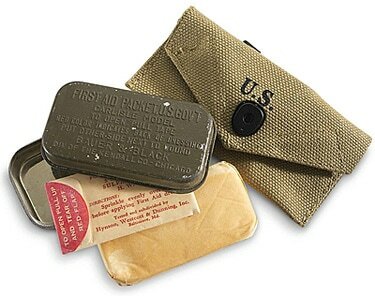 This practice was not widespread in the 101st and most of the medics in the 3 PIRs of that division wore just arm brassards, with the usual playing card symbols on their helmets." He later went on to add that they also used heavy scrim for the Normandy jump like normal troopers. 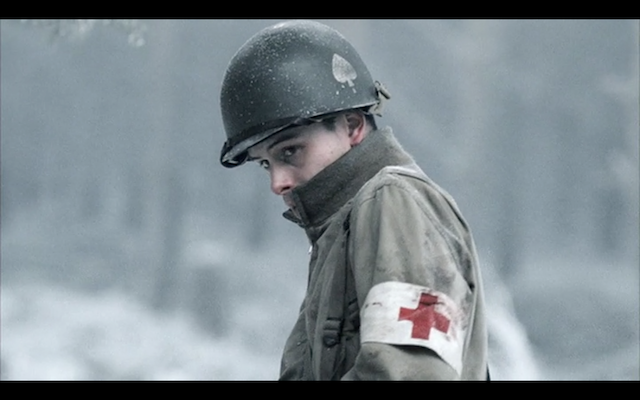 Ask yourself how many times Doc Roe in Band of Brothers was shown with a medic helmet? The answer is never and while being a movie based on WWII, they had many advisers contributing to their accuracy. The Glider Rider troopers at the top of the page also had no visible red cross's painted on their helmets. Many Unit commanders could have recommended to have or not have the painting as every leg Unit had multiple red cross's painted on them. As the War progressed, troopers could have opted to add the red cross if materials were available for them to use, acquire or steal. 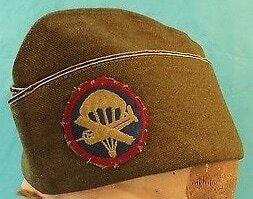 Fox 502nd stance: We would prefer the medics opt for the Heart symbol with 2nd Battalion Tic on their helmet with heavy scrim added for Normandy events and no scrim or net for the Market Garden or Bulge events. If a trooper has already painted their helmet, they can keep the painting but new troopers should opt for the Heart stencil only. ​This is what we are shooting for in the below 3 pictures. Close of the picture on the left shows this trooper painted his arm band on. 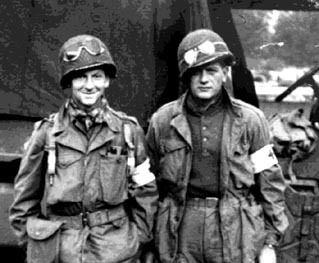 Medics of the 101st. 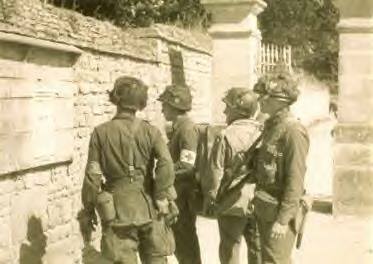 It is of note that the bottom left is medic Leroy Reitz who picked up the medic helmet from another trooper.